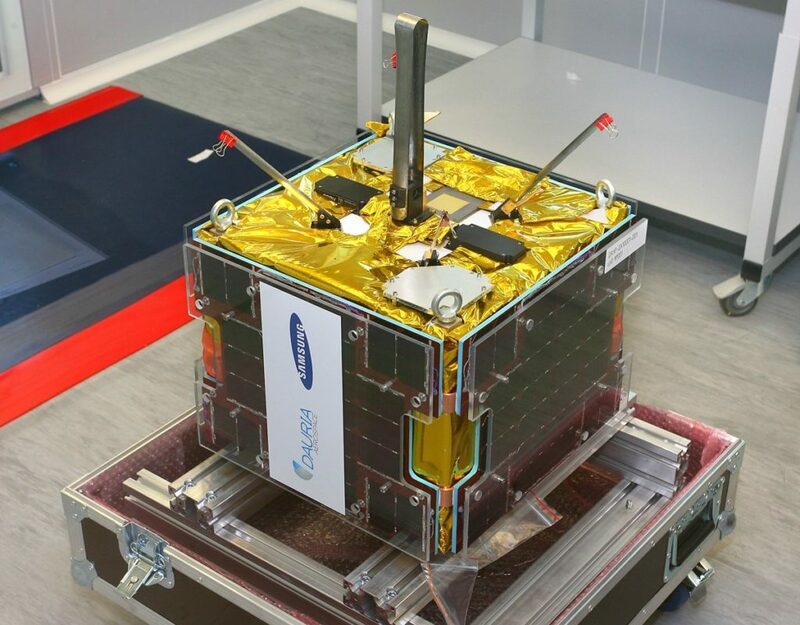 [Via Satellite 07-08-2014] Dauria Aerospace, a Russian startup company, has encouraged radio enthusiasts to locate and track its newest satellite, DX 1, launched aboard a Soyuz rocket on July 8, 2014. The company has provided the necessary information, including the transmitter designator, receiver designator and other details on its website. DX 1’s beacon will begin transmitting immediately adjacent to the 70 cm amateur satellite frequency band (435-438 MHz). Dauria Aerospace will award those who successfully determine the orbit of the satellite on the first day with a variety of souvenirs and certificates. The first window of opportunity begins immediately following the launch, though this is relative to the participant’s location. The DX 1 satellite will complete several orbits before passing over its primary ground station in Moscow, Russia. Dauria Aerospace anticipates its own mission control will establish the first communication session the next day.